Comments: Some performers end up having mythical status because of the imprint they leave on certain pitches and Paul Keen – aka Captain KeaneO, certainly had that effect on Covent Garden during the 80’s. In fact many referred to him as the King of Covent Garden during his heyday and for good reason as he was notorious for the shows he did in the days before amplification became the norm. But it’s hard sometimes for a new generation to fully understand the impact that a ‘larger-than-life’ character like KeaneO can have. 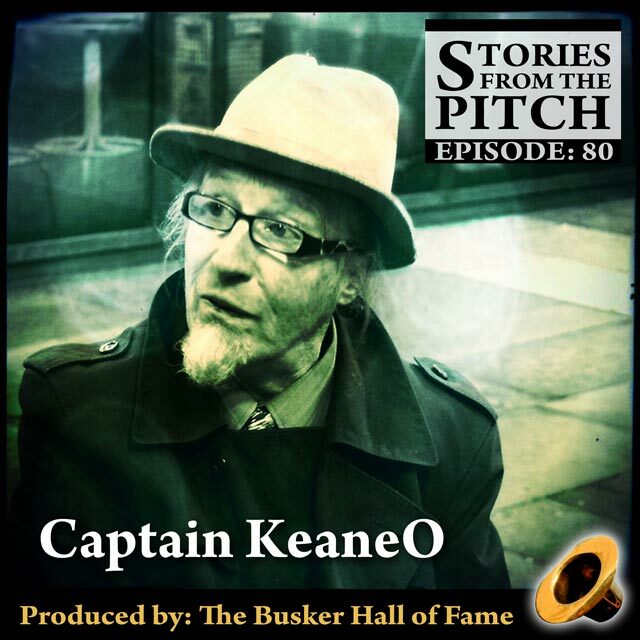 Certainly he influenced the generation who are influencing the current generation, in fact, when asked to nominate someone for the Busker’s Hall of Fame this year, Nick Nickolas, one of the 2017 Inductees had only one name to contribute and Keane-O was it. Guy Collins sat down with KeaneO in ear’s shot of Covent Garden’s West Piazza to chat about the early days in Covent Garden, how Paul Keen became Captain KeaneO, what he brought to the street, and some of the many adventures that he got up to in the 80’s and 90’s.